Senator Charles Sinclair, Councillor for Montego Bay North East (left); Alecia Spence, Programme Manager of the Flanker Resource Center (center); and Tyheissa Williams, Desnoes and Geddes Foundation member (right) speak with Taheir Wilson and Tessanna McKenzie, both students of the Flanker Resource Centre. 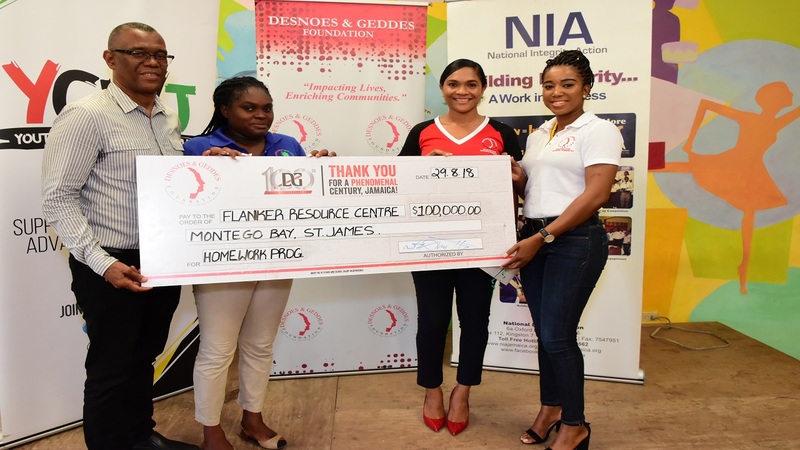 The Flanker Resource Centre (FRC) is the latest beneficiary of the ‘100 For A Century’ gifts to Jamaica from the Desnoes and Geddes (D&G) Foundation to celebrate the brewery’s 100 years of operation. The foundation has donated $100,000 to the centre’s homework programme, which provides daily support for nearly 40 students through tutoring, conflict management and healthy lifestyle education. “This gift advances our work to help our students do well academically. 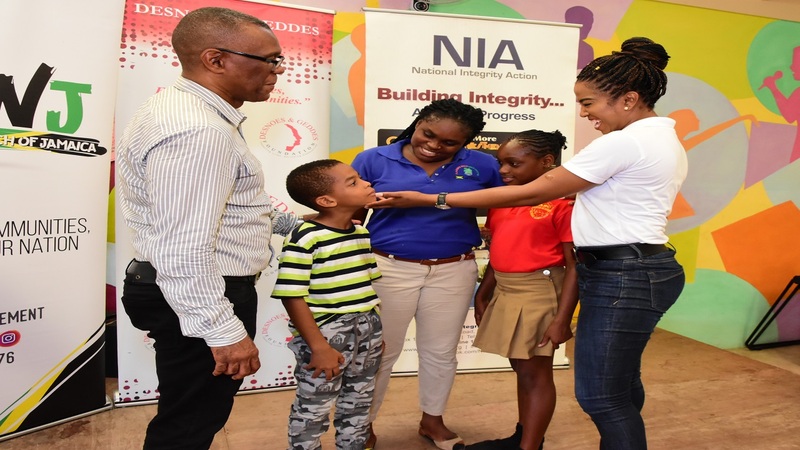 We do not want the children to become involved in crime so interacting with them through homework is an important way to share positive values,” said Alecia Spence, Programme Manager of the Flanker Resource Centre. Former FRC volunteer Shanique Mongal, who was born in the Flanker community and is now Channel Development Manager at Red Stripe, fuelled the foundation’s interest in the homework programme. 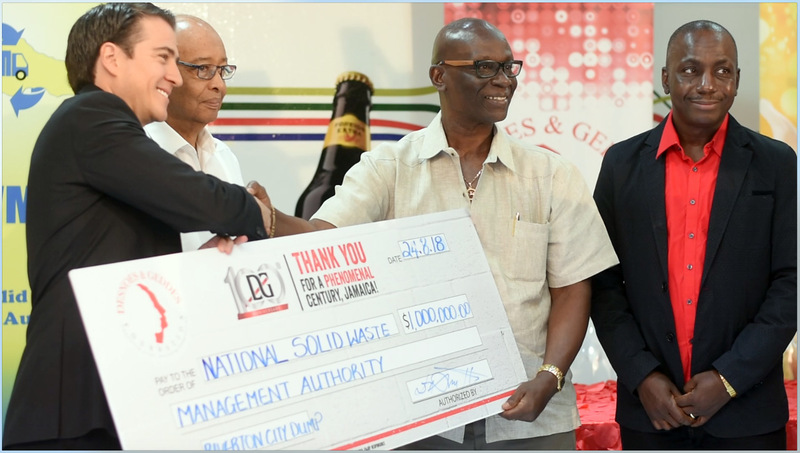 The foundation encourages Red Stripe employees who are members of the D&G Foundation Club to nominate projects to be considered for the 100 For A Century campaign. 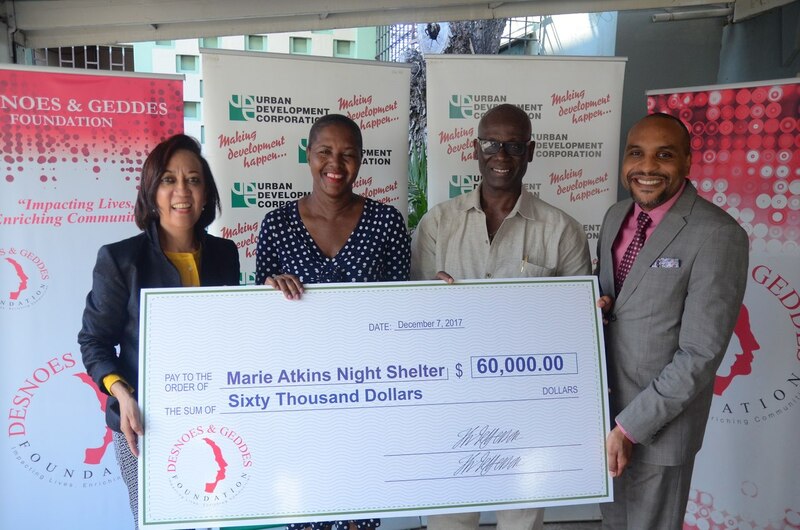 Funds to support the initiative were provided by Red Stripe, which donated 100 cents from every bottle of beer sold in July, recognized as the company’s anniversary month. The Desnoes and Geddes Foundation has donated $100,000 to the centre’s homework programme which provides daily support for nearly 40 students. (L – R) Senator Charles Sinclair, Councillor for Montego Bay North East; Alecia Spence, Programme Manager of the Flanker Resource Center; Shanique Mongal and Tyheissa Williams, both members of the Desnoes and Geddes Foundation. “Inspired by Shanique's enthusiasm for the Flanker Resource Centre, we found similarities between the work done there and our philosophy of brewing a better Jamaica. 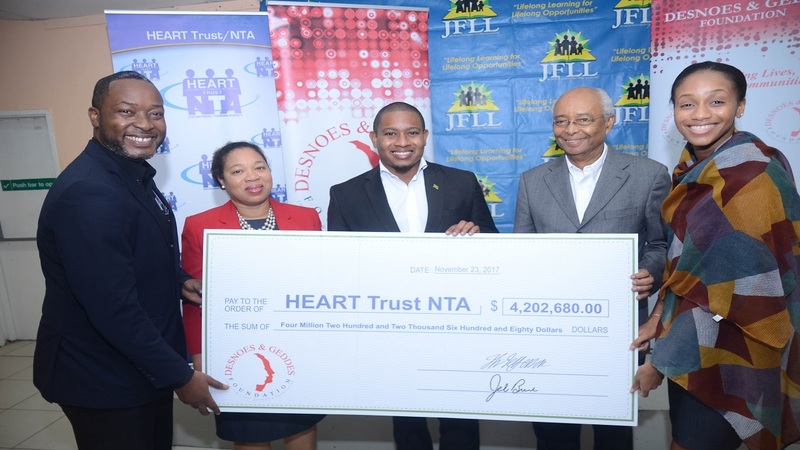 We share the vision of a nation in which nurturing potential is everybody’s business, and we are honoured to support the community and its young people,” said Noel Dacosta, Chairman of the Foundation. Started as the Flanker Peace and Justice Centre with a focus on dispute resolution, the centre has evolved to serve the community of more than 10,000 residents with a concentration on youth development. More than 60 per cent of the population is below the age of 30, and almost half of this group is deemed undereducated and unemployable. In addition to the homework programme, the centre offers adult education night classes, computer classes, a skills training programme, and parent education programme to enhance the social, educational and economic standards of residents in the community. A not-for-profit organization, the Flanker Resource Centre depends on the support of the private and public sector. Senator Charles Sinclair, Councillor for Montego Bay North East, including the Flanker district, feels that the centre is a significant lifeline for the community. “The initiatives at the Flanker Resource Centre are indicative of the brighter future the community will have. It is good that the Desnoes and Geddes Foundation has contributed to the development of the educational services that the centre provides as we strive to build the human capacity within the community,” he said.